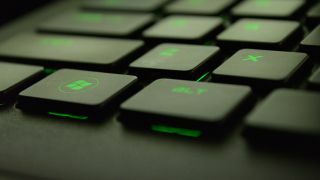 If you’ve ever tried to play a demanding game on a regular laptop, you’ll know the signs: the sizzling hot surface, the worrying whirring, the eventual, inevitable black screen as it finally gives up the ghost. If that sounds familiar, you’ll no doubt be pleased to find a list of the best gaming laptops right here. There’s a lot to look at in terms of specs (which is why we’ve listed the most important ones below) but the first basic consideration you’ll need to make is usually the trade-off between portability and power. 13 - 15 inch screens are more portable, so make more sense if you travel a lot, but the penalty can sometimes be a lack of power. For maximum reassurance that your rig can handle whatever you throw at it, you’ll usually be looking at 15 - 18 inches. There are particularly strong showings from Asus and Alienware, but with Dell, Acer and others getting in on the fun too, there’s lots to choose from. Keep reading to find the best gaming notebook or laptop for your needs, preferences and budget. At 15.6 inches, the Asus ROG Zephyrus GX501 might still be nearer to the upper end of the portability scale, but how much it manages to pack in makes it our best gaming laptop. It destroys the argument that says a laptop for gaming can be powerful or portable, but not both, managing to pack an Nvidia GTX into a profile slimmer than most conventional laptops, let alone most gaming laptops. 1080 graphics and considerable processing power, without any excess heat, battery drainage or back-breaking heft? That’s a very fine package indeed. The Razer Blade Pro is another surprisingly slender, good-looking gaming laptop that doesn’t compromise on specs to get there. The 1080p panel with its 120Hz refresh rate is quick to respond to even the most frantic FPS, and its CPU is overclockable – that is, you can run it at a level higher than that intended by the manufacturers, you daring thing, you. It doesn’t have a huge number of ports, but what it does have is ample, being VR-ready and offering enough for multi-display setups. That this Dell Inspiron notebook can offer up a 1060 GPU for the price it does makes it a top choice for anyone in the market for an affordable gaming laptop. It could cut a lot of corners for the entry-level price, but instead it provides a solid experience in terms of both performance and comfort, with ample oomph for games and virtual reality, a competitive battery life, and a far-improved (although understandably still not class-leading) display from its previous incarnation. Unlike many other options in the gaming laptop universe, the Asus ROG Strix doesn’t make you choose between amazing graphics and amazing sound, making it a thoroughly good all rounder for atmospheric play. The full HD screen is top notch, offering up vibrant, saturated colours and, on Ultra mode, a consistent 60 fps runtime, and its speakers might be slim, but by golly can they boom. For really getting the most out of frantic fighters and shooters, its look and sound are pretty much unbeatable, although its short battery life means it’s best at home if you’re using it heavily. On first glance, the Alienware 13 R3 might look a little chunky for its small screen size, but trust us, those big bones mean it has a performance-per-inch rating like no other, packing quite a lot of oomph into a reasonably dinky (width-wise, at least) package. Its higher-end version also boasts the first OLED screen on a gaming laptop, which is arguably the real secret of its success, offering richly detailed, beautifully vibrant scenes through which to play your way, and the new and improved innards mean less risk of overheating. Forget what all those fighting game character selection screens have taught you, because while this laptop may be big and chunky, it's certainly not slow as a trade-off. Sure, it’s a bit of a beast, but if its bulkier chassis isn’t a barrier for you, it won’t let you down. Reviewers say its 1080p (or full HD) screen is gorgeous, its performance is swift and smooth, and its powerful fans are capable enough to see off overheating even during marathon sessions, making this truly one for the dedicated gamer. The Alienware 17 R3 allows players to make the most of all the beautifully animated games out there right now with its easily best-in-class display. The 4K screen shows every detail the way the artists intended: amazingly bright, pin-sharp and bursting with true colours. There’s even an optional graphics amp for a little bit of extra dosh should you want to push it even further, but for most gamers, it's already more than sufficient. Desktop setup not feeling the love? Take a look at our best gaming keyboards for fast response time and comfortable play, no matter the campaign.